LAS VEGAS — Sony’s significant presence at NAB this week included announcements on multiple service and product fronts, including the introduction of new artificial intelligence (AI)-based video analytics and the new HDC-5500 4K Ultra High-Def (UHD)/HD High Dynamic Range (HDR) live camera system. After highlighting all its new offerings at an NAB press conference April 7, the company touted the AI-based video analytics and other new Sony Intelligent Media Services offerings during a presentation on the first Media & Entertainment Services Alliance (MESA) digital asset management (DAM) Tour April 8. As Sony had disclosed to reporters during a pre-NAB press briefing in New York, its booth at the show featured a new area showcasing the AI analytics. Sony’s new technologies and workflow services and solutions are designed for broadcast and production at all levels, including imaging, HD, 4K, 8K, HDR, High Frame Rate (HFR), cloud and IP, the company noted. Highlights of the new Intelligent Media Services offerings include integrated AI capabilities supporting object recognition, speech-to-text and facial detection in Sony’s Ci Media Cloud that were designed to improve discoverability, searchability and provide enhanced transcription, according to Sony. Ci is also offering live contribution, streaming and clipping for capturing and watching live streams anywhere. 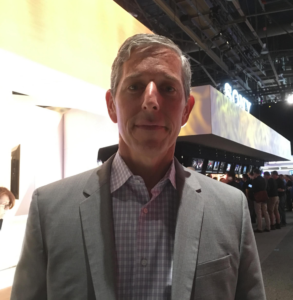 Those features were demonstrated to MESA by David Rosen, VP of Cloud Applications and Solutions at Sony Electronics Professional Solutions Americas, at NAB and, in more detail, just ahead of the show, during a Ci update. 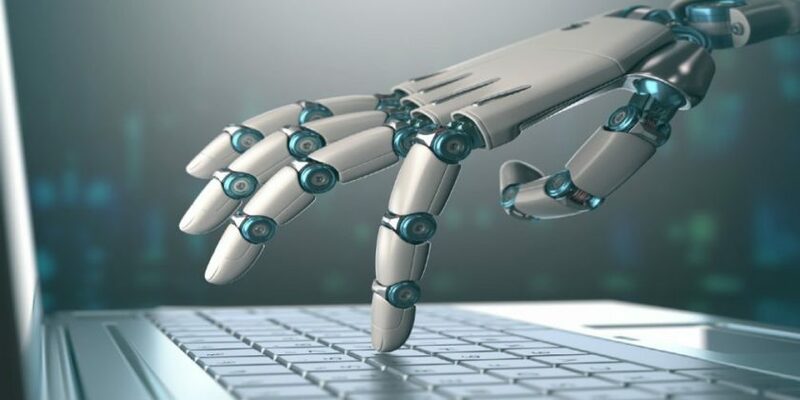 Noting that automated speech-to-text is now incorporated into the platform, he said customers “literally can just turn it on for any given folder that they want” when working with their content. That feature was “added for a number of reasons,” including a need by TV show makers who often are faced with “a mountain of video and audio” to go through before finalizing an edited version of a program to be broadcast, he said. Automated speech-to-text stands to save them a lot of time and money spent sending content from a production set to another location for transcription to be done, he noted, adding the new capability also helps keep content in a secure location. Sony has transformed that process into a “fully automated experience where all you have to do is upload your content and the rest of it happens for you” automatically, he said. At NAB this week, Intelligent Media Services are being demonstrated in a variety of workflows for broadcast operations, as well as sports and production workflows. In addition to Ci, Sony said its Crispin division’s LoadingDock and FARlink software provide stations with the ability to aggregate program and commercial content from various locations in the cloud and on-prem by using a centralized solution. Combining Crispin’s traffic interface and FARlink integration with Ci, station groups can now manage and execute playback of all their content from the cloud, Sony said. New features offered by Sony’s Media Backbone NavigatorX content and workflow management solution for on-prem, hybrid and cloud configurations include an improved workflow editor with the ability to schedule workflow execution and native support for additional professional formats, including R3D, DNG, DPX and EPS, the company said. New features for Sony’s XDCAM air, meanwhile, include support for audio intercom functionality, HEVC (H.265) streaming and multi-point distribution streaming. The XDCAM air cloud-based subscription service bridges field-based camcorders with facilities, and integrates with Media Backbone Hive, Media Backbone NavigatorX and third-party systems to provide streamlined acquisition workflows, Sony pointed out. New features for Sony’s Media Backbone Hive integrated news and sports production system that streamlines production workflows from planning to archive include ST2110 ingest and playout, XDCAM air live-stream and file-based workflow integration and HTML5 browser-based editing, including effects, subtitling, 16CH audio and waveforms, the company said. The new HDC-5500 camera, shipping in May, is a multi-format live camera that Sony said comes equipped with “the world’s first” 2/3-inch 4K global shutter three CMOS sensor. The camera’s imager “ensures superb image quality in 4K, HD and HDR live production applications,” according to Sony. It’s also capable of outputting 4K directly from the camera using a 12G-SDI interface, enabling 4K field monitoring and 4K/HDR wireless applications. The HDC-5500 also provides 4x HFR as standard and offers up 8x HD and 2X 4K with a future software option. “The HDC-5500 system responds to the needs of 4K, HDR, HFR, IP and wireless requirements for today’s and tomorrow’s production needs and will take our customer well into the future,” Sony said. The company this week is also highlighting the dailies tool it just rolled out across Universal, Lionsgate and Starz, as well as its Adobe Premiere integration, he told MESA at the show, noting his company is offering studios “a more holistic approach to asset management” that is “allowing organizations to have a much more organized and unified strategy” for their data. The 5th Kind approach is also “minimizing the system fatigue that we started to see, where” people often didn’t know “what systems to log into to find a particular file,” he said. There have, meanwhile, “been two fundamental data points that have been sort of resonating” over the past year, he noted. 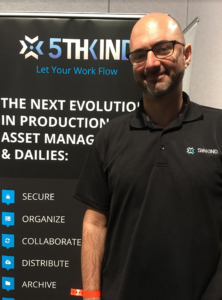 The first is that “workflow is really all about delivering the right user experience,” so 5th Kind has been focused on helping customers optimize their workflows, he said. The second data point has been the continued evolution of how people collaborate online via email and other methods, which 5th Kind is addressing by “trying to build more tools that make it more powerful to collaborate with a system like ours,” he said. Vistex has been using NAB this week to tout what it says is the first and only cross-divisional solution for managing media, brand licensing, music and all aspects of intellectual property rights and royalties. The Vistex rights and royalties management solution offers benefits that it said include the ability to accurately manage the high-data volumes encountered by the industry’s increased shift to streaming. The solution also: provides full visibility into real-time avails across the enterprise; analyzes business performance in real time, for accurate forecasting, planning and agile decision making; secures collaborative customer transparency through a fully integrated portal; and ensures scalability across multiple regions, languages and currencies with a single-instance deployment, Vistex pointed out just ahead of the show. 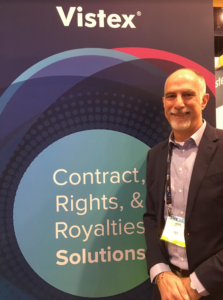 “We are able to manage multiple rights in a single environment” and are “able to grant licenses to manage royalties and to effectively run your entire rights and royalties business in a single instance,” Amos Biegun, managing director (U.K.) and global head of rights and royalties for Vistex, told MESA at the show. Therefore, “we believe we have a unique proposition, allowing them to integrate all of their old legacy data into one environment, and clear and manage that prices through a single solution” that “natively integrates into their” enterprise resource planning, he said.